Newquay's beaches are among the best in Europe! Whether you're after adrenaline pumping water sports or a beach picnic with the young ones, Newquay has the perfect pitch of sand for everyone. What's even better is that they are all within easy reach from 10 Ocean Views! Top of the list is family-friendly Towan Beach, a few minutes' stroll from 10 Ocean Views (takes slightly longer coming back as its an uphill walk but hey, you get to burn more calories!). Towan is located next to the harbour and is the most sheltered beach in town. It’s a great beach for kids to play, there is even natural sea pool for the kiddies, and The Blue Reef Aquarium is nearby. 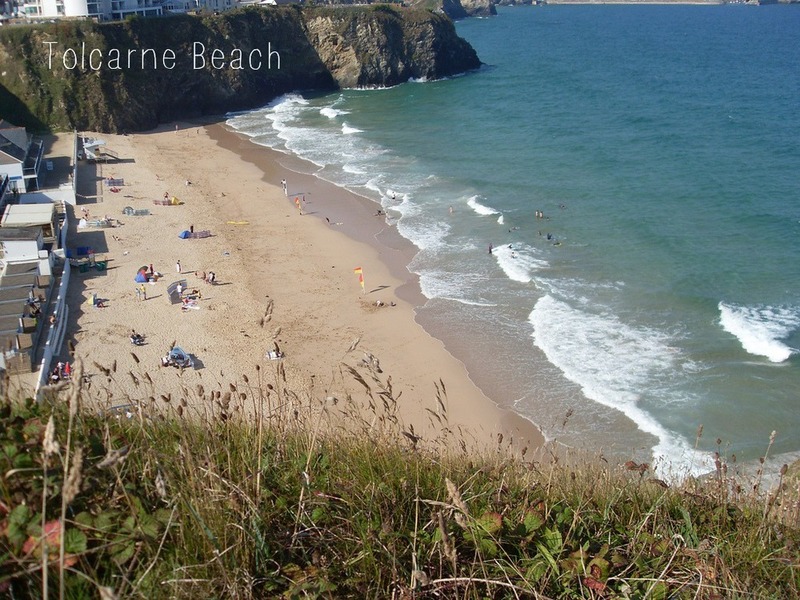 Just adjacent to Towan is Tolcarne Beach, a large, west-facing sandy beach backed by cliffs. With its soft sand and rock pools to explore at low tide, it is a great family beach. Popular with surfers, the beach has a café, a restaurant and a surf school. Next is Great Western Beach, north of Towan. It is also a sheltered and safe beach and is about a 10 minute walk from the apartment. It is accessed via a walkway between Great Western Hotel and Koncept Gym. During high tides, the beach is but a small rectangle of sand but on low tides, it joins with Lusty Glaze and Towan to form a vast stretch of golden sand. Lusty Glaze has been described as the perfect Cornish cove and in the summer evenings, a spectacular sun trap. There are many activities to be had in this beach – choose from zip wiring or surf lessons, coasterring or Waverunner Jet Ski adventures, or better still, do them all! Further north is Porth Beach. On its eastern side, which is accessed through a narrow footbridge, there are some remarkable prehistoric defensive earthworks and the remains of a settlement. Like many of the local beaches, it is exposed to Atlantic swells but surfing is not allowed in the summer and so families can bring their buckets and spades, and their lilos for some great fun. To the south of Towan Beach is the spectacular and iconic Fistral Beach. Famous for being one of the best surfing beaches in Europe, it is busy and buzzing with excitement and adrenalin. Surfing is on all year round but large tides and huge swells make this beach quite dangerous so check the forecast before heading down. Crantock Beach is about a 12 to 15 minute drive from 10 Ocean Views. It was voted the Best British Beach by BBC Coast in 2013 and no wonder! It sits at the bottom of a quintessentially English village with two charming pubs. On a hot summer’s day, the sandy walk down to the beach from the car park is quite challenging. But you will soon be rewarded with the stunning views of the bay and the River Gannel to the right. Well worth the visit, specially if you would like to escape the crowds at Fistral Beach.